Mobile lifting jacks are being used more and more often for commercial and railed vehicles. 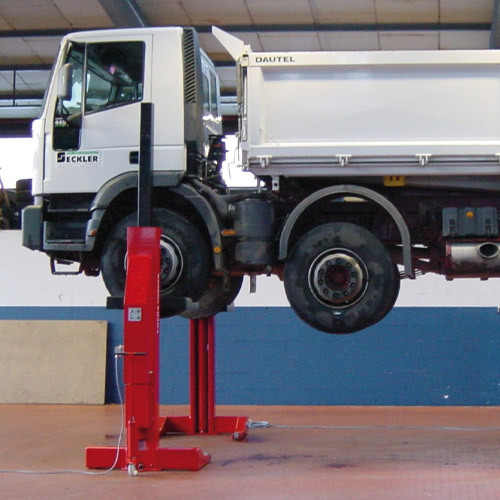 The lifting jacks for commercial vehicles are often designed as column lifts. In contrast, railed vehicles are often lifted on the frame. Any number of these lifting jacks can be combined into one system. As each lifting jack has its own drive for the lifting movement, the individual devices must be synchronized in order to ensure a completely level and oscillation-free movement. The lifting movement of each lifting jack is measured with a draw-wire sensor for this.